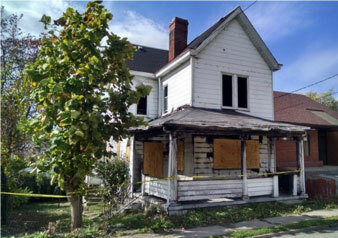 Attracting developers and property owners to invest in and construct new buildings and to renovate and update older properties. 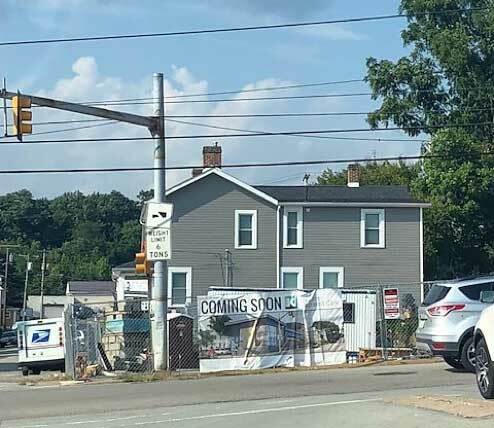 Attracting new businesses to the city and increasing business, customer traffic and residential living within the Downtown District, the Healthcare District, and city neighborhoods. 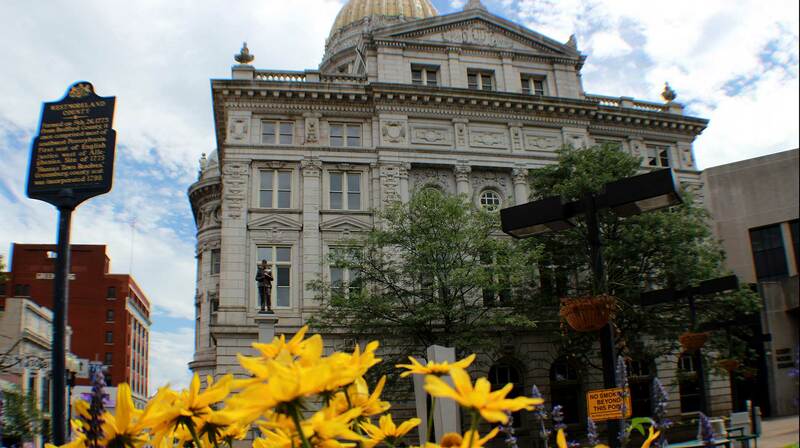 GCDC is administered by a 23 person Board of Directors and a full-time Executive Director. 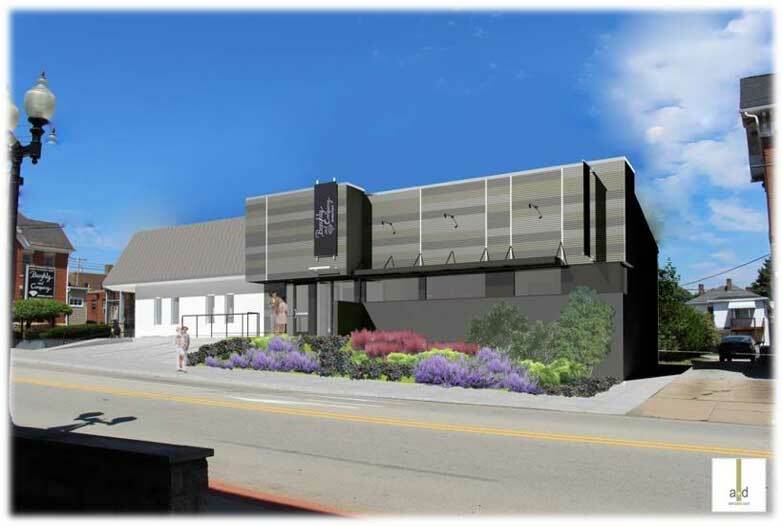 GCDC and the City Planning Department facilitated the assembly of the land for the Seton Hill University Arts Center. 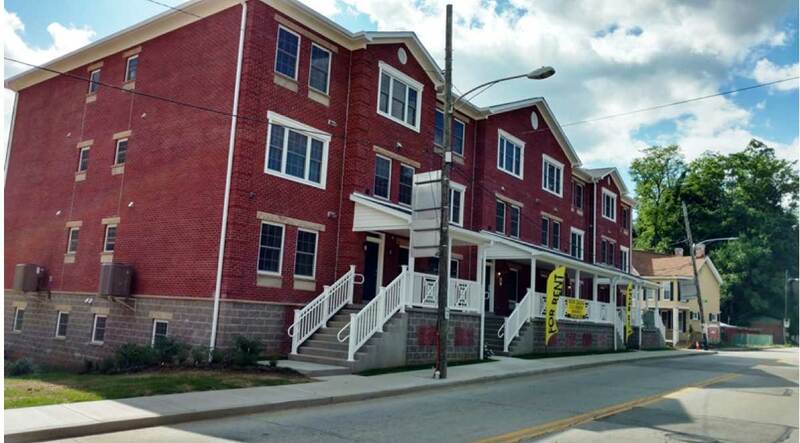 GCDC secured the land and convinced a developer to build the 27 unit, $5.2 million Breakstone Apartments at 112 College Avenue. 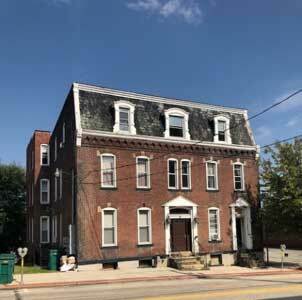 Breakstone Apartments’ owners have since purchased 13 N Maple Street. 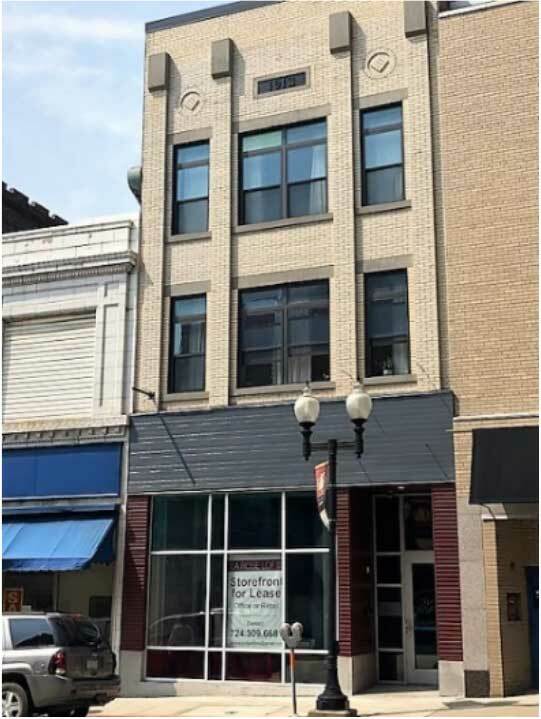 GCDC facilitated the acquisition and the development of LaRose Lofts on Main Street into new apartments and street level retail space. 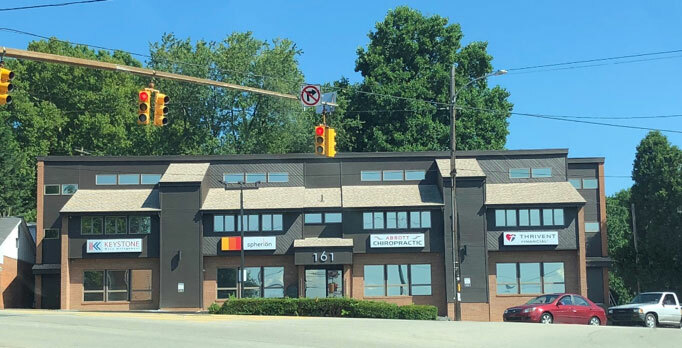 GCDC purchased vacant properties at the 2nd Street and Pennsylvania Avenue corner for redevelopment to a tenant’s retail specifications and to upgrade the appearance of this retail corner. 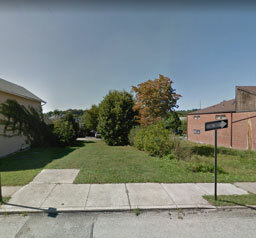 GCDC assembled site information and with the County’s Land Bank secured commitment from Keystone Integrated Care to build a new secured commitment from Keystone Integrated Care to build a new (Westmoreland County’s only) medical marijuana dispensing building and parking at the corner of East Pittsburgh Street and Urania Avenue. 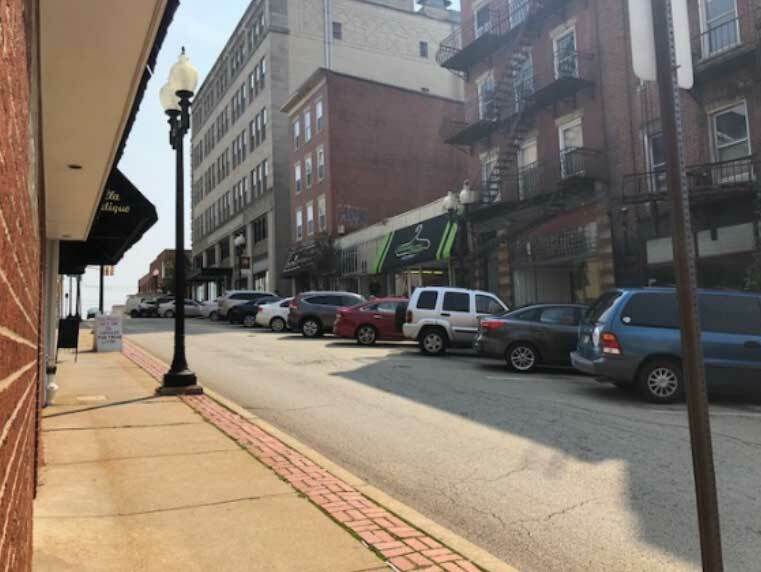 GCDC facilitated the joint agreement of the Greensburg-Salem School District, Westmoreland County and City of Greensburg to LERTA, a 10 year tax abatement program to incentivize developers to build new and renovate older properties within the city. 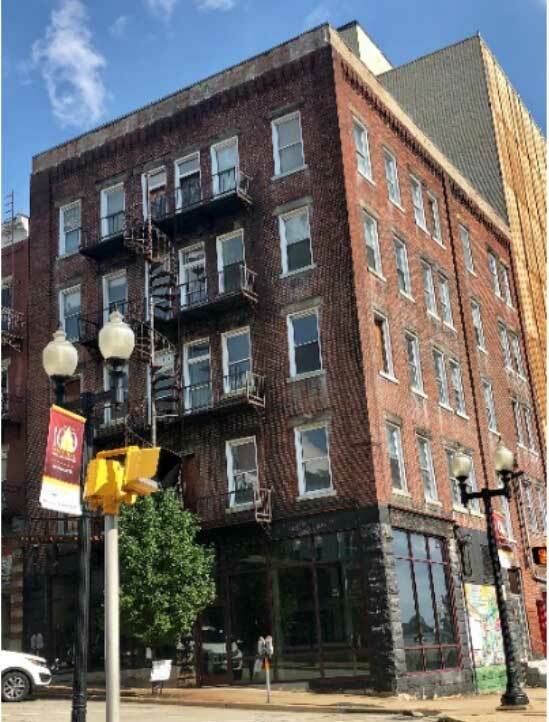 Developers committing to the project donate a portion of their abated tax to a fund enabling the purchase and upgrade of older properties within the city. To learn more about the LERTA program, click here. 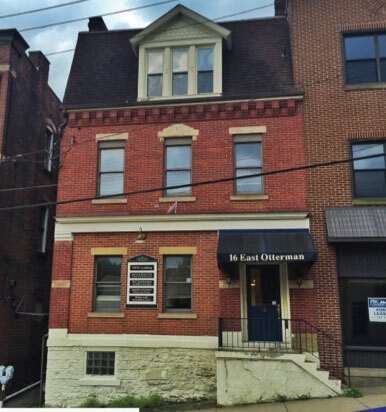 Working with the Westmoreland County Land Bank and Habitat for Humanity, GCDC acquired and sold dilapidated structures in the Healthcare District to provide land for home upgrades and new apartment construction. For over 40 years, GCDC through state and local programs has provided matching grant façade, storefront, sign upgrade and improvement grants to businesses and property owners to support improvement grants to businesses and property owners to support retail marketing, streetscape appearance and building upgrade initiatives. 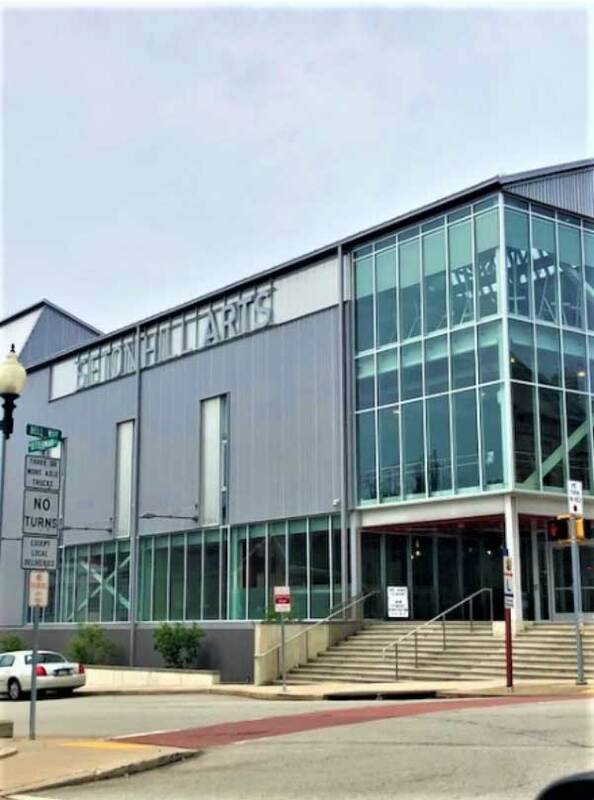 In 2016, eight projects leveraged an estimated $140,000 of private investment in the downtown district. 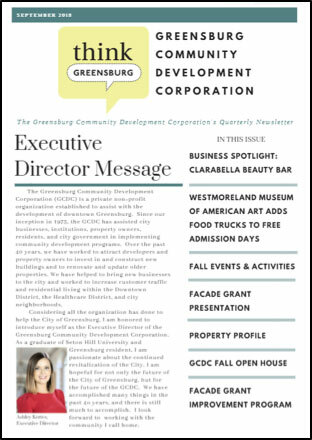 GCDC publishes its monthly electronic newsletter, Think Greensburg, to promote Greensburg business, dining, and cultural activities. The newsletter reaches 1,270 contacts while the Think Greensburg site engages 2,315 followers on its social media platform. 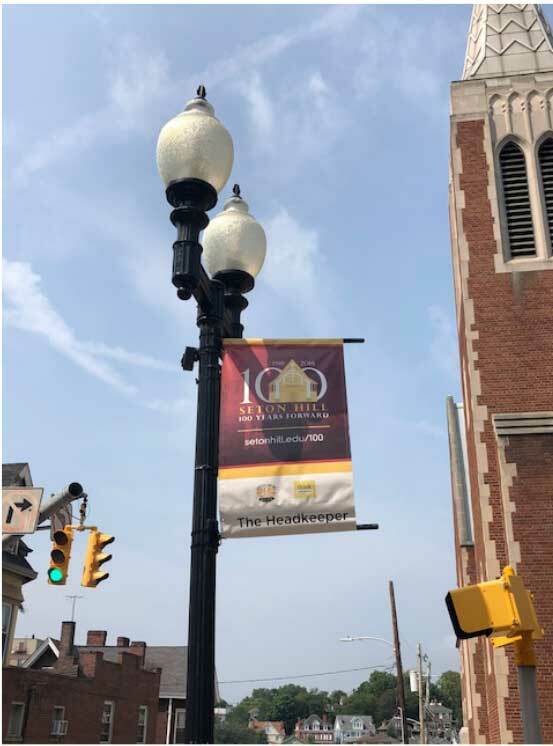 GCDC promotes business activity and streetscape attractiveness through the sale and maintenance of 70 artistic advertising banners mounted on business district light poles. 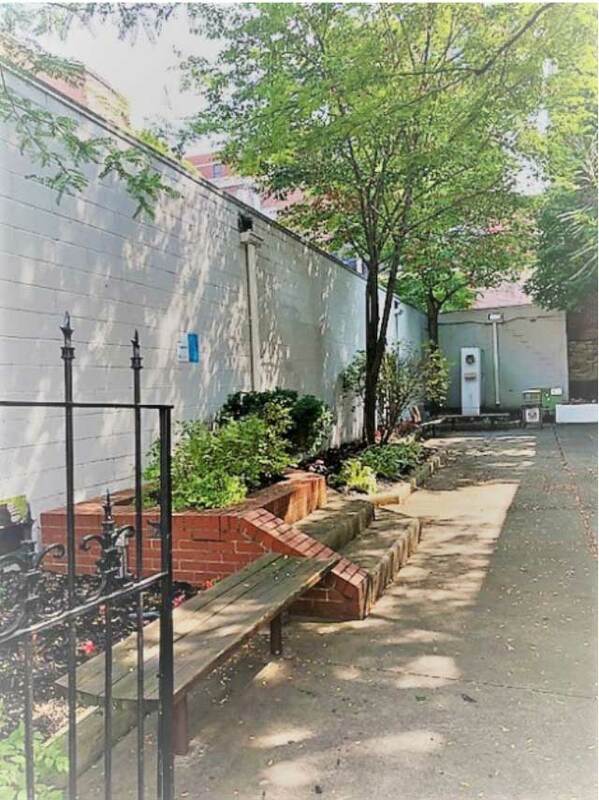 GCDC developed South Pennsylvania Avenue Nature Park across from Zion Lutheran Church in 1990 by acquiring and removing an old building and building a green space park for use by shoppers and employees and to enhance streetscape beautification. GCDC, supported by the state’s Main Street Manager’s program, collaborated with the city to place overhead electric and lighting service underground, erect decorative street lamps (later expanded to all downtown streets), installed new brick bordered sidewalks, upgraded facades and storefronts with matching grant investments and increased parking space availability by instituting angle parking the Pennsylvania Avenue 2nd Street retail district.